Imagine blasting off into space aboard the Nostramus while Ellen Ripley battles the Xenomorph right in front of your eyes. Or perhaps you’d prefer to slide down the side of a glacier while Scrat chases his beloved acorn? 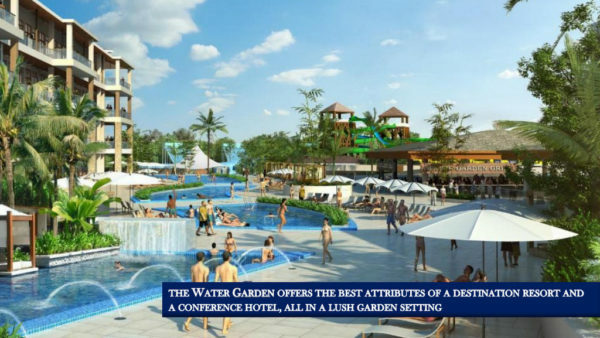 If things had worked out differently, these interesting rides might very well have become reality in the form of the theme park and resort property called Miami Wilds. Hello everyone, my name is Joshua and I wanted to take a deeper look into what exactly Disney is getting with their purchase of 20th Century Fox. Yes, we will see a reunification of the X-men and Fantastic Four into the Marvel Cinematic Universe, but what else is Disney getting with their uber-expensive purchase? Well, fortunately for us we have a guide into what intellectual properties Fox considered to be their premiere ones a few years ago. At one point Fox was considering getting into the theme park battle that has been raging between Universal and Disney. A little backstory leads us to Miami Wilds near Homestead, Florida and 2014. For years Miami-Dade County has been putting out requests for proposals to develop a bunch of land around the Miami-Dade Zoo, and they have always been interested in putting some sort of attraction to draw visitors into that area. What happened the last time that they did it was they got a dinosaur attraction proposal and 20th Century Fox’s proposal for the Miami Wilds Theme Park Complex! 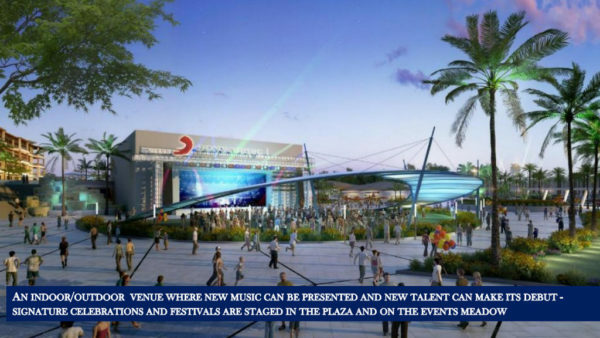 It was exciting stuff; there was going to be a water park, an amusement park, a shopping district and hotel, and even a music theater where hot new acts would perform. In short, this was Fox’s answer to Disney and Universal. Sure it was a little small – the amusement park would only be 70 or so acres, the water park 19 – but at least there would be something for everyone. It sounded great, and the figures they pulled out to support it were great, too. It was estimated 2.5 million guests would visit the theme park, 500,000 guests to the water park, and 1.5 million overnight guest visits annually. The economic impact would be enormous! It sounded too good to be true for the commissioners, who I’m sure couldn’t wait for the increased hotel and tax revenue. And then it all came crashing down by a tiny endangered beetle. This led essentially to the shut-down of all plans for theme park development on the property. In fact, there have never been any updates to the plan since then. 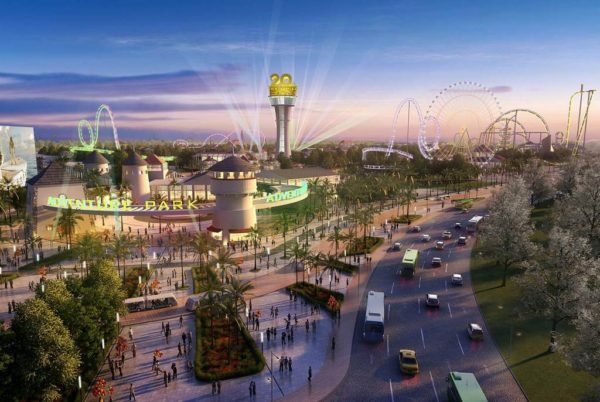 The zoo has continued developing the land it already occupies and the county has instead looked northward for their theme park dreams with American Dream Miami taking the place of economic golden goose for the commissioners. 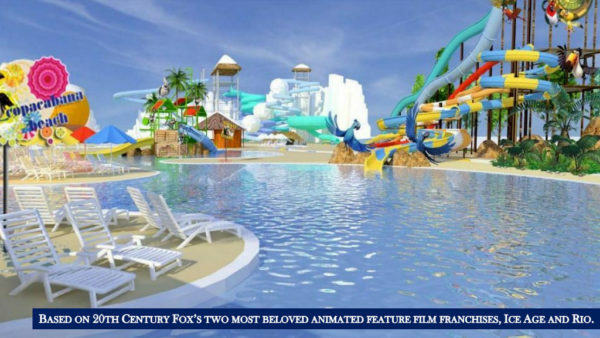 But this story is not the most important part – it’s what Fox left behind for us to look at, which are these pictures of what could have been, and might still be, albeit developed by Disney Imagineers instead. 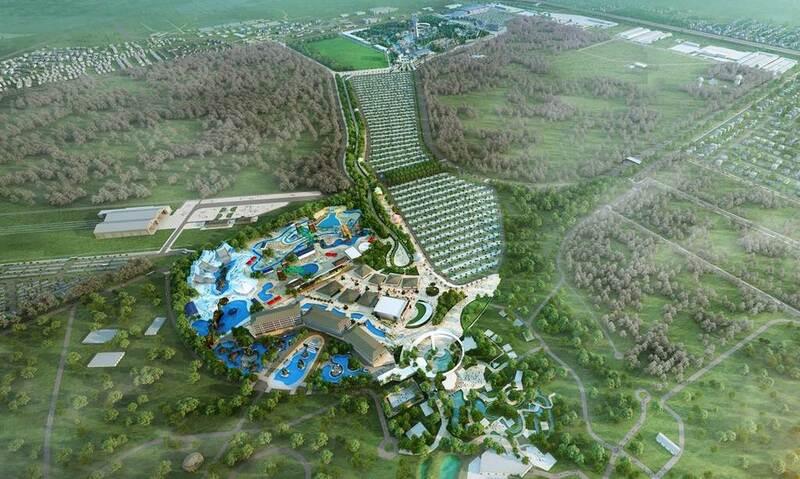 We could have had our Ice Age/Rio themed water park. But what would have been in the theme park? A quick look at their top grossing movies reveals some interesting facts. A good portion of their movies are either Star-Wars, X-men Universe, or Ice Age properties. In short Fox does not have a ton of great self-owned movie intellectual properties that have done well at the box-office. So, when you look at what they were thinking about putting in, you probably are feeling a little under-whelmed. The sad truth is that they have leased out some of their biggest owned intellectual properties already, in the Simpsons and Avatar. I’m not sure how much of an impact the acquisition for Disney will really make besides reuniting their Marvel world, and removing the royalty payments they have been making for Avatar to Fox. I do wonder if this will force Comcast to come to the negotiating table now that Disney will have the rights to two properties in their park. I’m sure Comcast will not appreciate paying them for both Marvel and the Simpsons. The bottom line is that we may never get that much needed Alien vs. Predator ride, or a spectacular Night at the Museum dark ride that we deserve. Thank you to guest correspondent Joshua for submitting this article. You can follow Joshua on twitter @JoshuaABott. What is going to happen now? They have taken out trees. Yea I’m wondering the same thing too, the land has been vacant for years I’m now starting to see construction vehicles on site; I’ve also been told by friends and family that they’re gonna be building a water park there. Is it not gonna happen? So it’s ok for Walmart to build on the property but not a tourist attraction that would have brought Jobs and tourism to the area. This is ridiculous…Our governing leaders in Miami Dade need to reopen this business venture again or put it to a citizen vote.